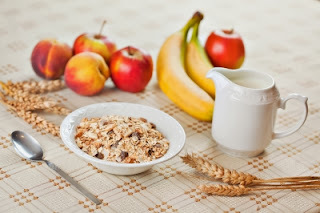 Whenever you skip your breakfast, you send a message to your body caloric deprivation, which is in a state of fasting for several hours. Brain will direct the metabolism to slow down to save the calories your body's reserves. Eventually, this habit cause a temporary slowing of metabolism. There are so many foods that help in reducing belly fat like avocado, macadamias nuts, olive oil, sunflower seeds etc. So include these foods in your diet. The biochemical activity related to metabolism requires lots of water. If you are not drinking enough water, your metabolism will slow down. If you're sedentary and you decide to do 30 minutes of moderate exercise per day, you are not only enjoying many benefits of exercise, also your metabolism will accelerate. By achieving that you will spend 50 to 75 and more calories per day, without even lifting a finger. Eating in hast will only make you fat. Chew you food properly and don’t start walking or sleep, immediately after having your meal.